Reopening 2019. 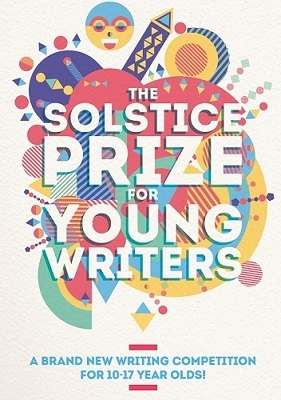 Writing East Midlands presents the Solstice Prize, for young writers aged between 10 and 17 years old. You can enter up to 40 lines of poetry or a short story of up to 1000 words on any subject. The competition is completely free to enter, and there are some great prizes up for grabs. Prizes are awarded in two age categories, 10-13 and 14-17. You can also see your work published on www.writingeastmidlands.co.uk. Ten highly commended pieces of writing from each age category, along with the overall winning pieces, will be published in our online anthology, The Beacon.